A small Lunar sea in the east of the Moon, directly south of the larger and more distinctive Sea of Tranquility. Approximately circular in shape, this Mare has a noticeable 'bay' to the south: the walled plain known as Fracastorius. 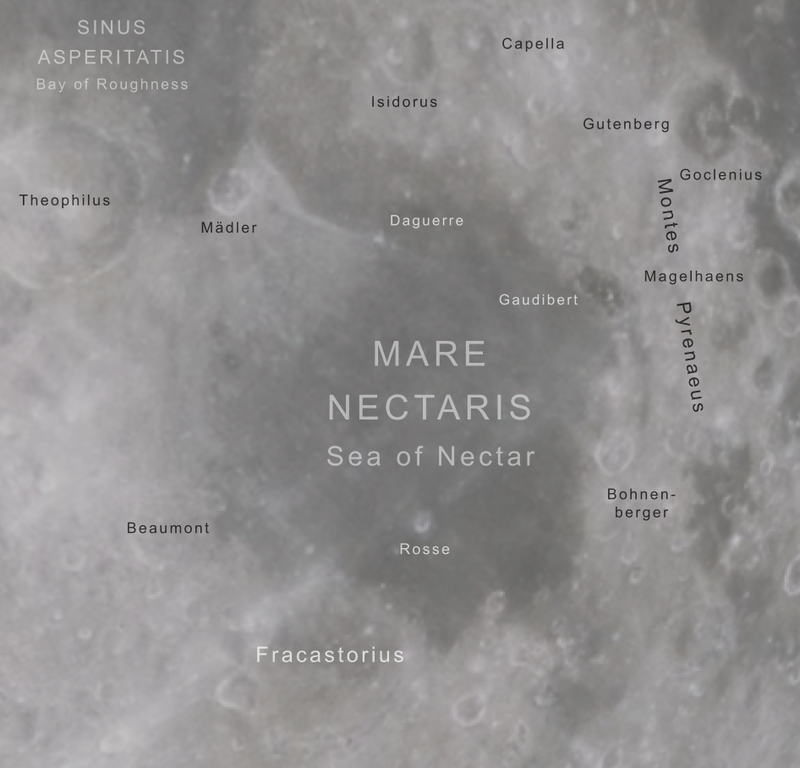 The Mare Nectaris is bounded on the east by the Montes Pyrenaeus, the mountain range of the Pyrenees. To the west of the sea are a set of large and prominent craters: Theophilus, Cyrillus and Catharina. Surface maps courtesy Jet Propulsion Laboratory. Copyright © California Institute of Technology, Pasadena, CA. All rights reserved.